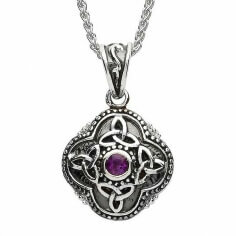 The small Celtic Tribal Trinity necklace is handcrafted from the finest 9.25 Sterling silver with an oxidized effect. 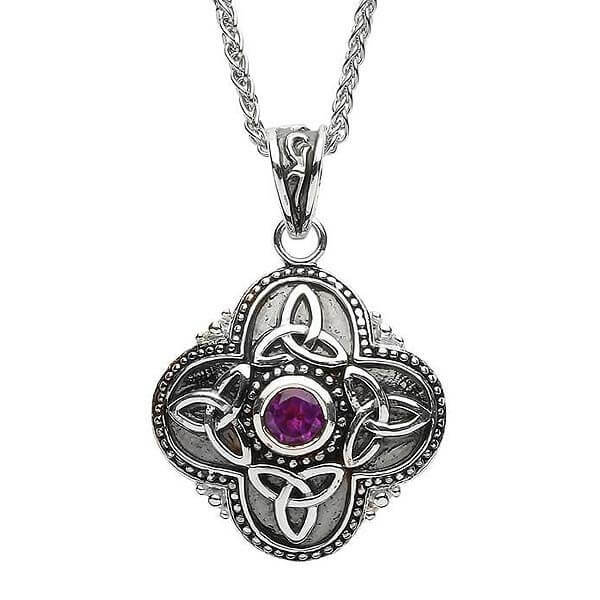 Four Trinity Knot accents are adhered to the front and surround a bright purple Amethyst gemstone located in the center. 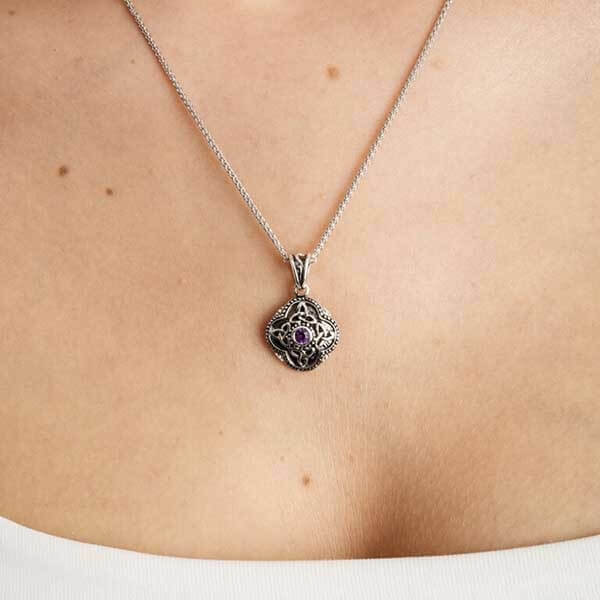 This gorgeous pendant is crafted with care by experienced Irish artisans. 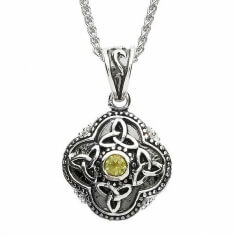 Tested and hallmarked by the Dublin Assay Office.